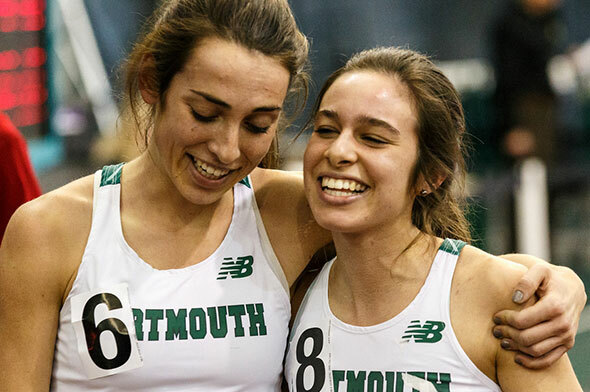 Last week, it was announced that Dartmouth’s Abbey D’Agostino will be the Ivy League representative for the NCAA Woman of the Year Award. The NCAA established the Woman of the Year Award in 1991 to celebrate the achievements of women in intercollegiate athletics. The award recognizes not only the athletics achievements of outstanding young women, but also their academic achievements, community service and leadership. Nominees can span across all NCAA sports and all NCAA Divisions. Out of the initial 446 student-athletes nominated by their schools earlier this summer, the award committee will go through various cuts to ultimately determine the top 3 from each athletic Division, which will be announced in late September 2014. The winner will be announced on October 19th, 2014 in Indianapolis, Ind. Other HepsNation athletes that were nominated by their schools were Marvellous Iheukwumere (Columbia) and Adabelle Ekechukwu (Harvard). To date, no Ivy League student athlete has ever won this award. Penn’s volunteer distance coach, Elizabeth Phillips, was the 2012 NCAA Woman of the Year due to her accomplishments at Washington University in St. Louis. This entry was posted on Wednesday, July 30th, 2014 at 3:00 pm. It is filed under Athletes, Spotlight. You can follow any responses to this entry through the RSS 2.0 feed.